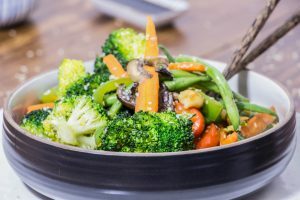 Incorporating more plant-based meals into your diet does not have to be tricky – sometimes you just need a little jump start. Whether you’re a lifelong vegetarian or just someone who wants to eat more veggies on a daily basis, this 7-Day Vegetarian meal plan is a great place to look for inspiration. Of course, when following a vegetarian diet, it’s important to remember all the different plant-based ways to get enough protein. 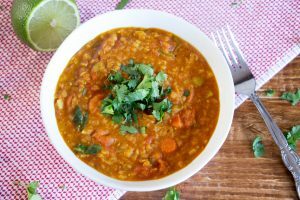 This meal plan includes delicious veggie protein sources such as quinoa, lentils, nuts, beans, and more. 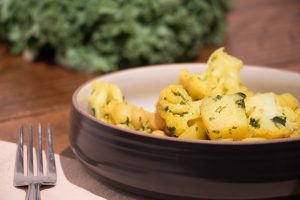 Another thing to keep in mind: This meal plan is intended to be a starting place for ideas – feel free to choose your own snacks, or swap out the sides with your favorites! 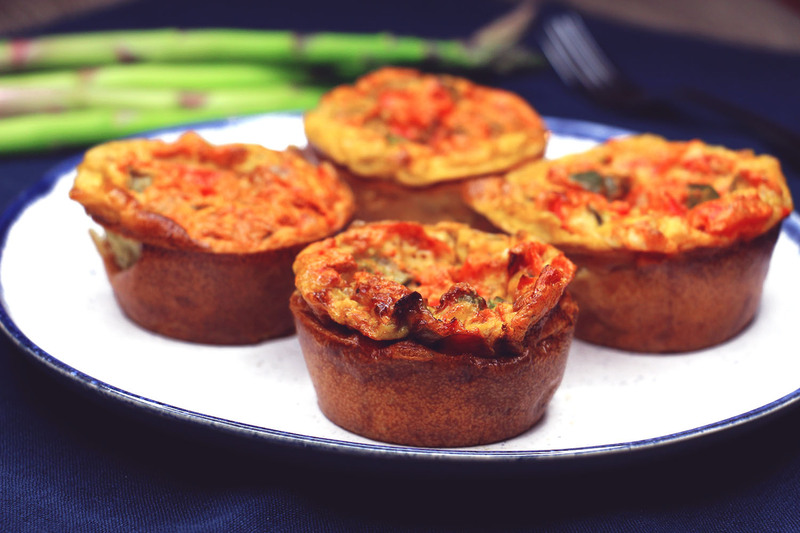 Prep this super versatile breakfast on Sunday for a quick protein filled breakfast that only takes a minute to reheat in the microwave! 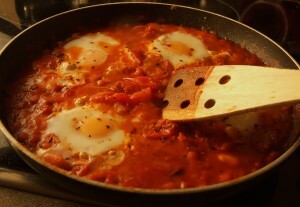 Serve with tortillas, flatbread or some rice to stay full until lunch time. 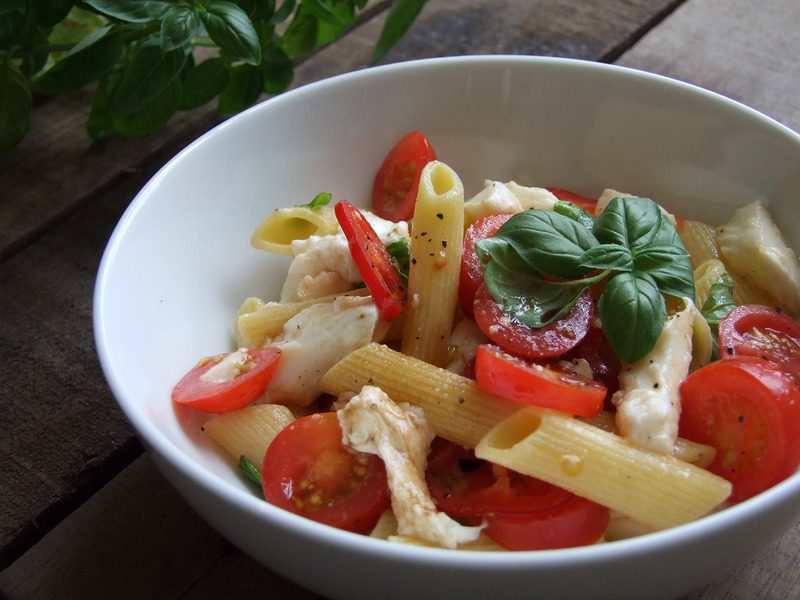 This Caprese salad with fresh penne pasta is light and delicious – perfect for a lunch made-ahead. 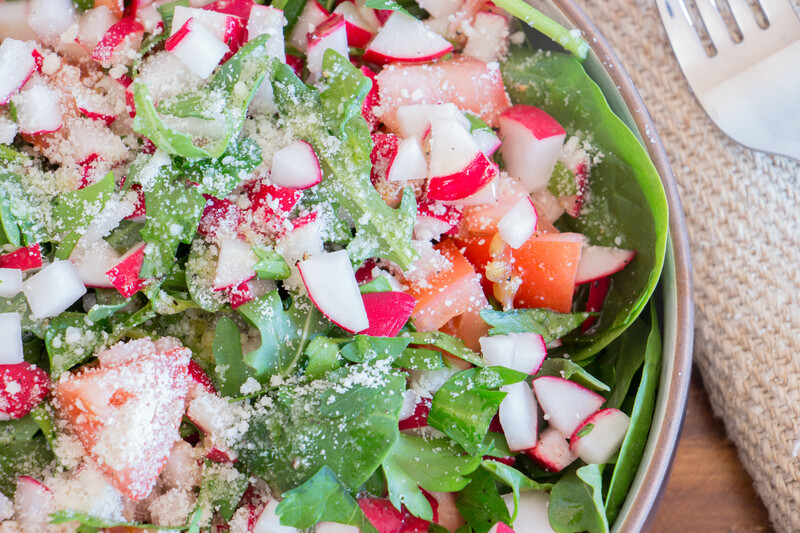 It only takes a quick 10 minutes to cook up this salad and easily be made ahead. 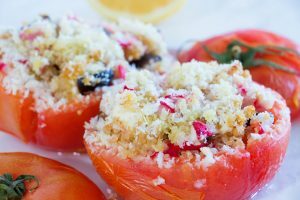 Cous cous, feta, black olives, garlic and a ton of veggies are stuffed into these tomatoes and baked to perfection! 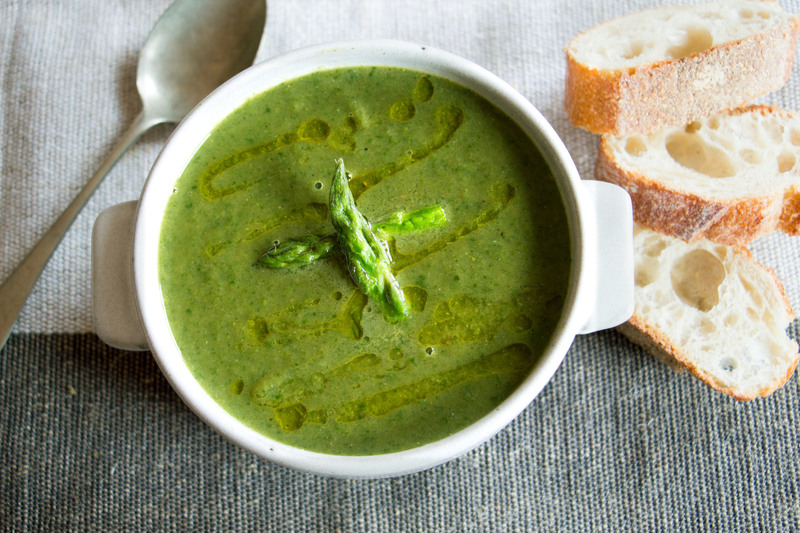 Perfect hot or cold, and best with a side of soup or salad. Full of vitamins A and C, plus lots of iron from the green veggies, this soup is a perfect side for your Roasted Vegetable Stuffed Tomatoes. Feel free to make a nice big batch and freeze any extras. Avocado toast with a special twist! 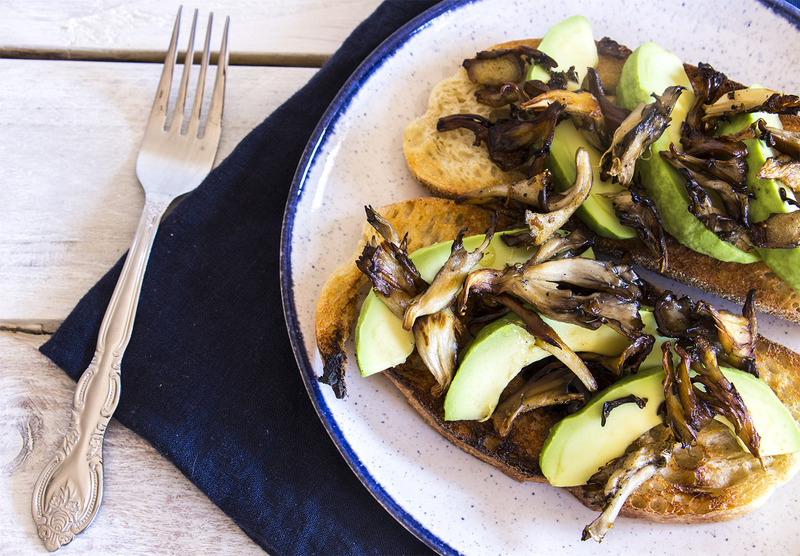 Spread some quick sautéed mushrooms over your classic avocado toast for a super savory delicious breakfast. 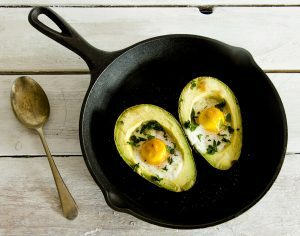 Loving the healthy fats in this simple breakfast! 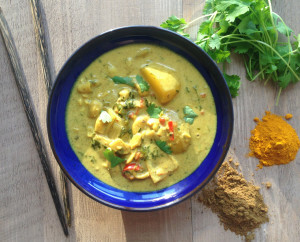 The perfect option for when you’re craving some fancy Indian food – and no cream or other heavy ingredients. This dish keeps very well, meaning you can store it and have delicious lunches for the rest of the week. 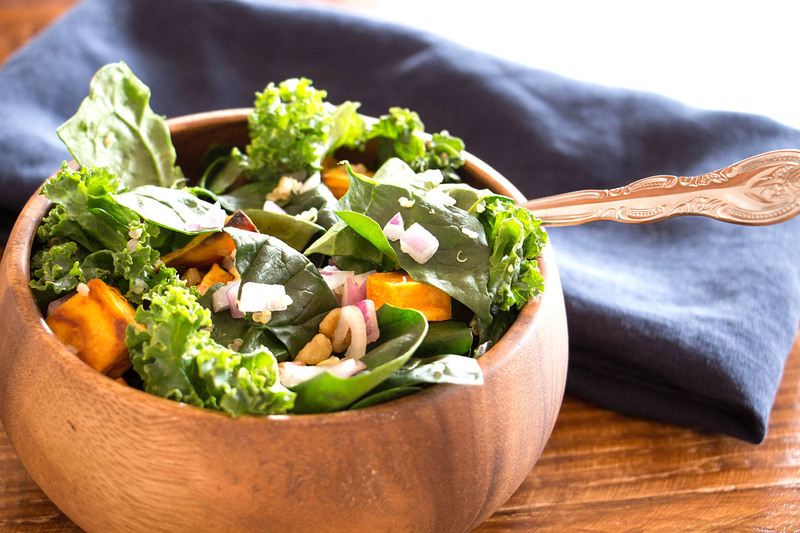 Roasted sweet potato adds a beautiful richness and texture to this leafy salad. Quinoa gives this salad a perfect protein boost – exactly what you need after a busy day! 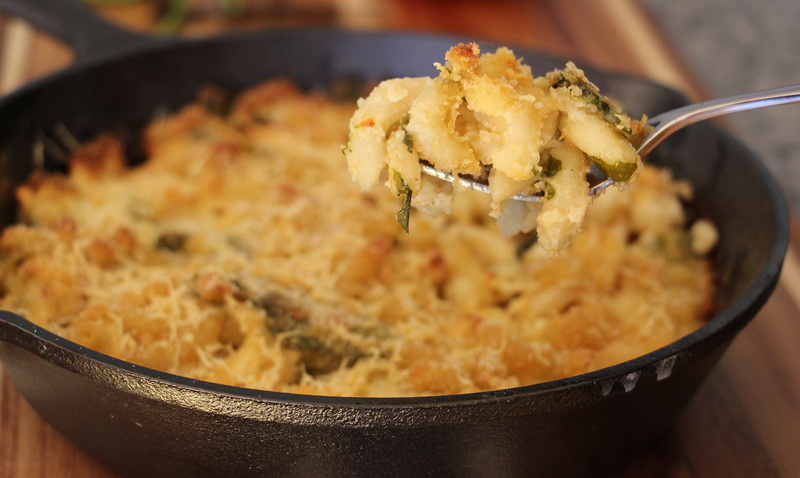 Cheesy and delicious, while still packed with cauliflower! 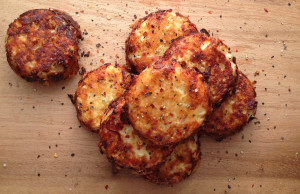 These mini cakes store really well and would be a perfect side to the Quinoa Salad. Better yet, they’re ready in only 20 minutes. 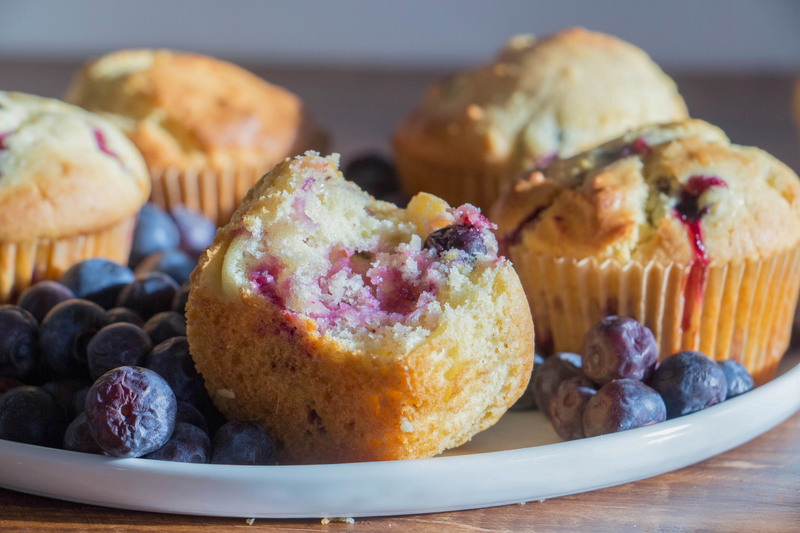 Prep these muffins ahead so they’re ready to go when you are! It makes the perfect sweet morning treat in between the week’s savory breakfasts. Sure to please anyone in the house! 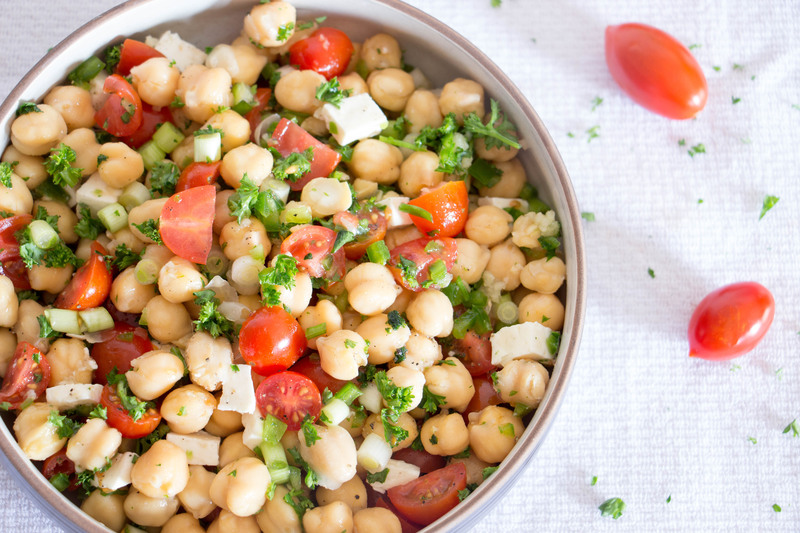 It takes only 10 minutes to toss this super simple yet totally delicious salad together. There’s no excuses for not preparing this lunch ahead. This recipe keeps for up to a week in the fridge, so lunch is taken care of. 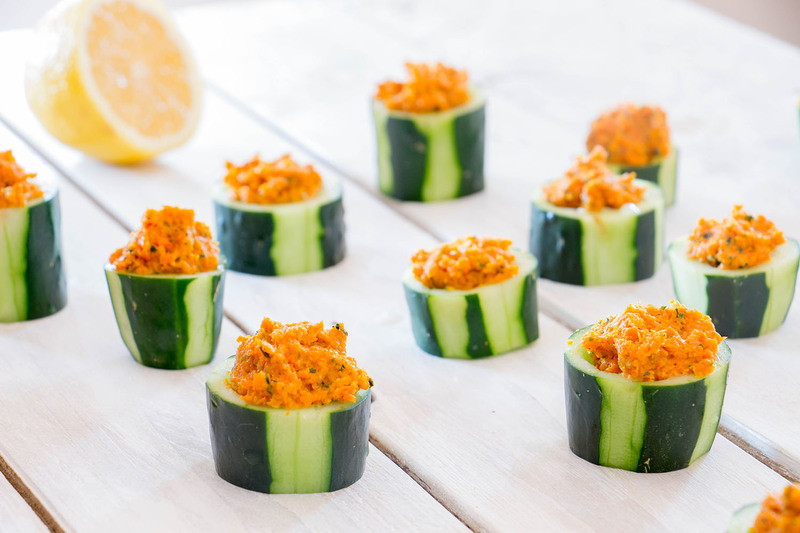 Carrot hummus is easy to make at home or find at most grocery stores, and pairs perfectly with cucumber for an easy healthy snack to get you through the day. Prep is quick and easy! If carrot hummus isn’t your thing, feel free to try out another variety. How about having dinner ready in 20 minutes with literally any crunchy veggies you have left in your refrigerator? It’s all possible with this simple yet flavorful stir fry. 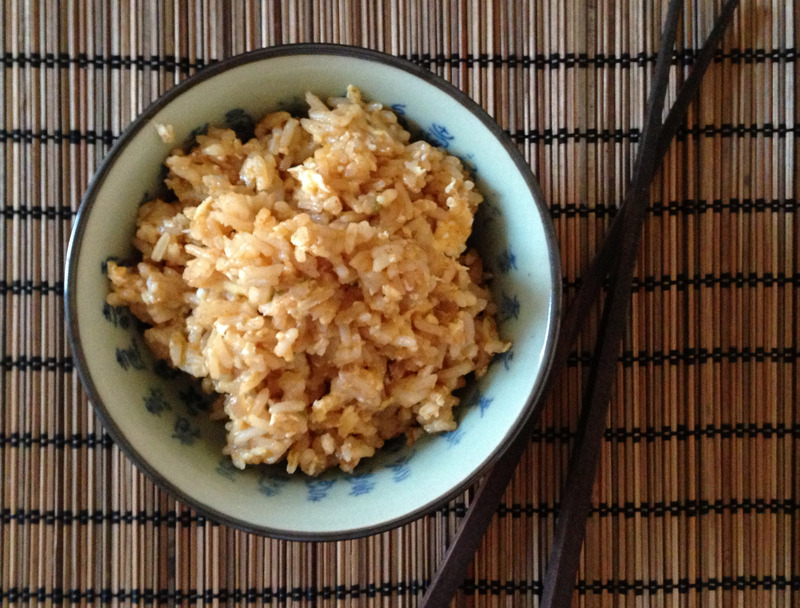 Pair your Teriyaki Stir Fry with this spicy fried rice, and you’ve got a super filling healthy dinner. 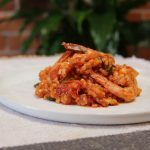 Leftovers keep really well too, so feel free to save the second portion of dinner for lunch tomorrow if you don’t want to prep another meal for the next day’s lunch. 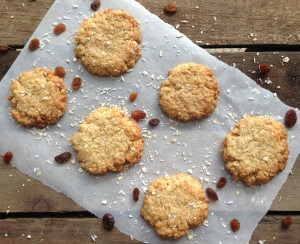 Oats and coconut help round out these breakfast (or snack) biscuits. Grab two for a filling breakfast on your way out the door. These biscuits are originally from Australia and New Zealand, but they’re simple to bake at home as well. Your co-workers will be jealous of your cheesy, veggie packed lunch! Vegetarian comfort food at its best. 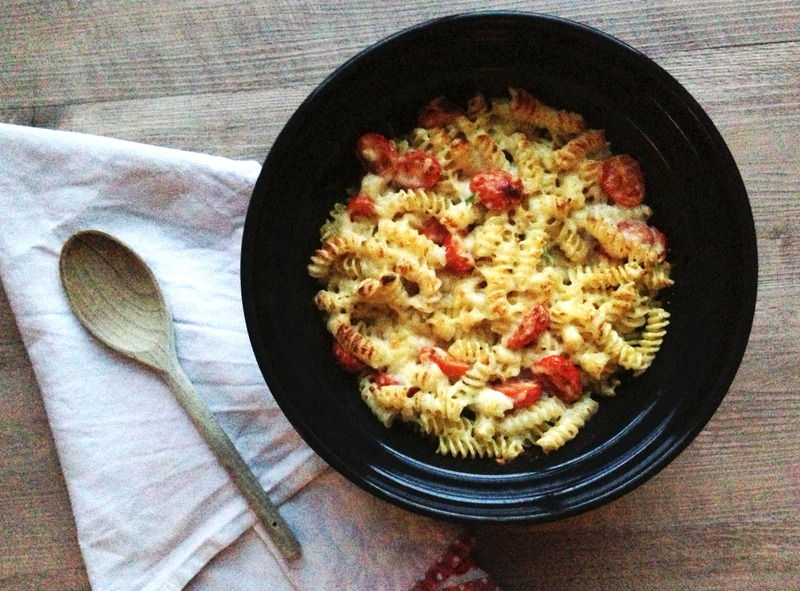 This dish can be prepped ahead and popped in the microwave for a quick reheated lunch. 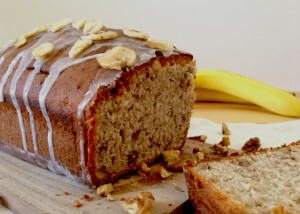 A little slice of banana bread heaven is a great way to separate a lunch and dinner both packed full of veggies. Skip the extra icing sugar if you’re trying to keep it light! Simple ingredients come together for an amazing vegan red lentil curry dish you’ll love. 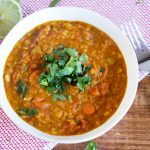 It’s full lentils, carrots, celery, spinach, and the perfect blend of spices to leave you craving seconds. Serve with a side for a complete dinner. These egg muffins are incredibly simple to make. You can add all different kinds of veggies depending on what you’ve got. The muffins can also be made in big batches and consumed throughout the week. Healthy? Tasty? Easy to make? Yes yes yes! 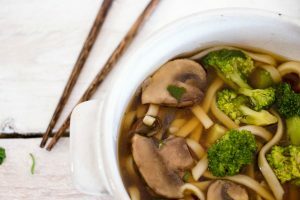 The broth is rich and flavorful, plus it will leave you feeling full and happy on any cloudy day! 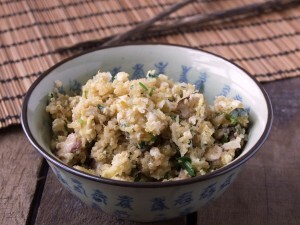 Add bean sprouts or cashew nuts for your own little twist. 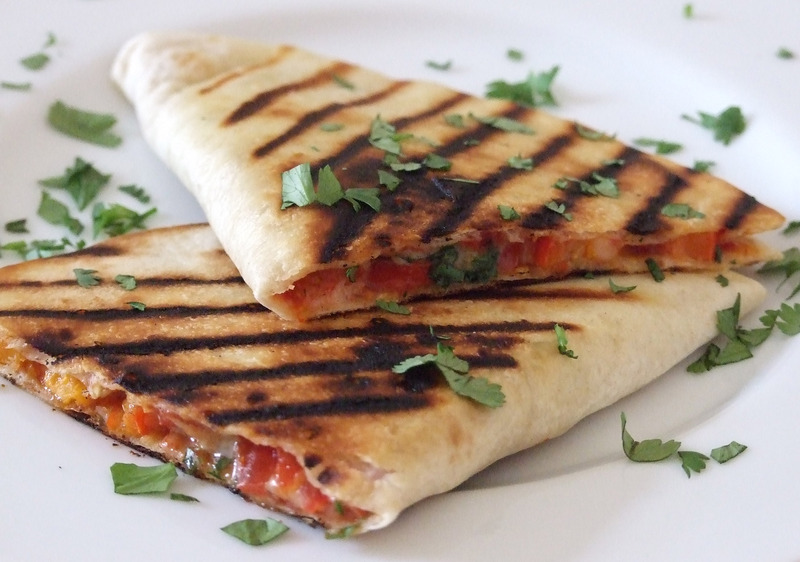 Who doesn’t love quesadillas? These ones are filled with the best vegetables and smoky spices that will make them a hit at your house. Best part? 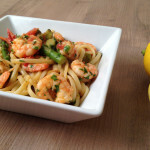 2 quick minutes of cooking time to your dinner! Try with a side of Roasted Mexican Salsa. Of course chips and salsa are necessary to go with your quesadillas. 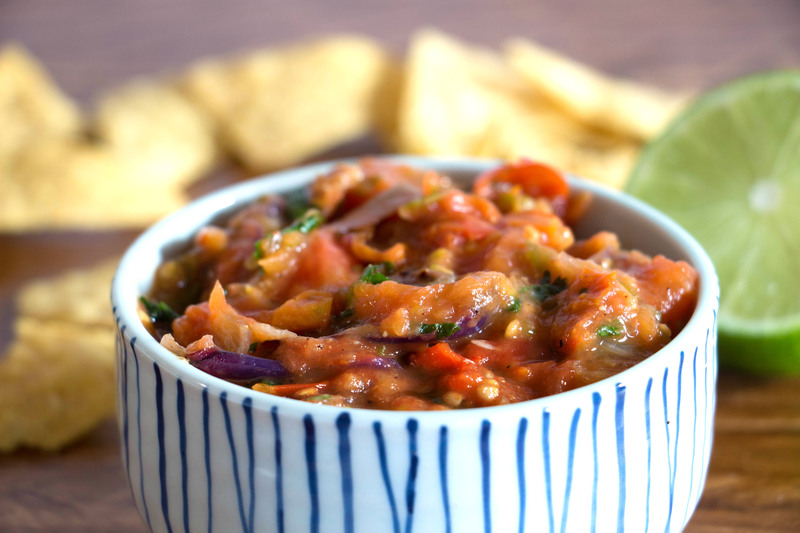 Roasted veggies give this salsa the perfect kick. Choose your peppers for the perfect spiciness! 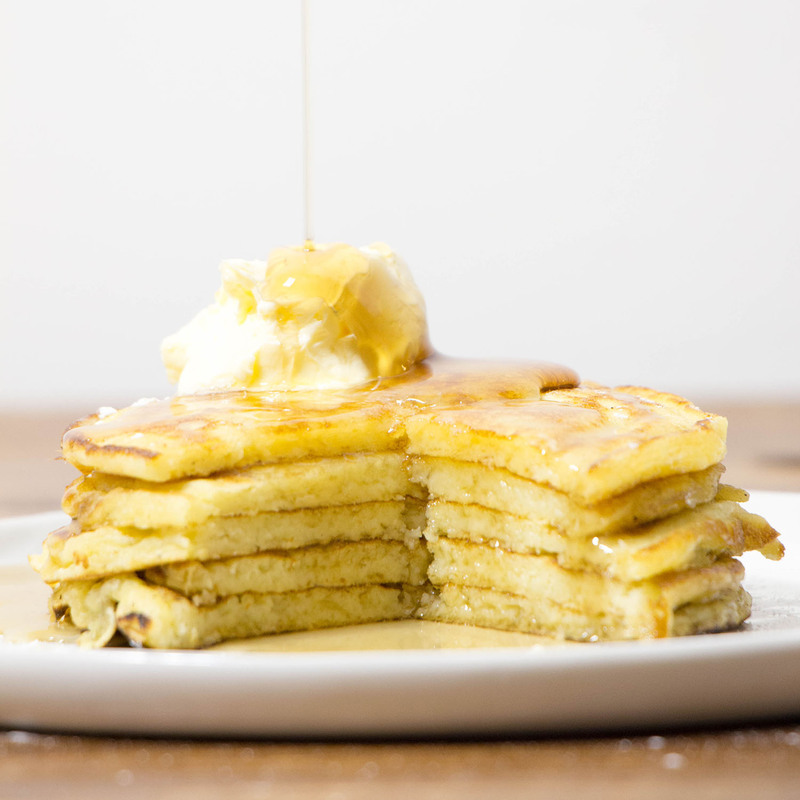 Hopefully this is your Saturday, because pancakes and Saturday just go together. Classic from scratch buttermilk pancakes are the best weekend treat, just be sure to follow it up with lots of veggies the rest of the day. Almost like your classic egg fried rice – but with more protein! 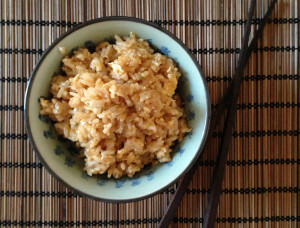 You would barely even know you aren’t eating rice with this recipe, it’s that perfect. Add even more veggies to personalize your dish. 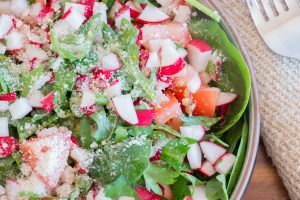 Toss this yummy salad together in less than 10 minutes to end your day feeling light and nourished. 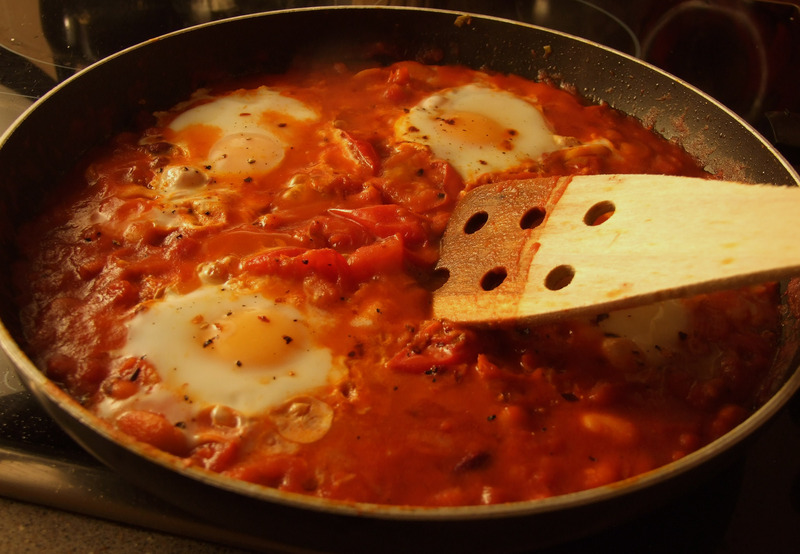 It’s low in fat, meaning it’s an excellent choice after a heavier breakfast and lunch. These potato skins are packed with fiber and protein, and the perfect addition to a main dish salad. 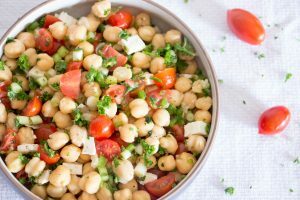 Stuff them with chickpeas, garlic, parsley, and a savory blend of spices. Topped with feta cheese, because why not? Avocados and eggs are a match made in heaven. High in good fats and so much better for you than sugary cereal! 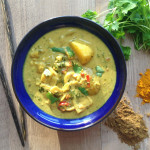 This delicious Thai curry can be as mild or spicy as you’d like, but traditionally this is a more mild curry that would be perfect for anyone in your house who isn’t a fan of spicy foods. Omit the fish sauce for a truly vegetarian version. Looking for a super simple, cheap and totally delicious vegetarian meal everyone will love? Look no further! 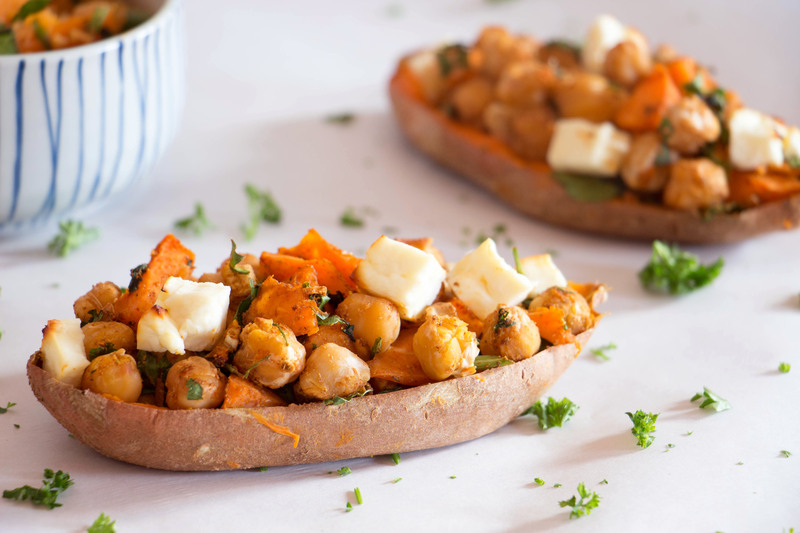 Add a salad on the side or throw in some extra sauteed veggies for a delicious end of the week meal. No meal plan would be complete without a shopping list to follow. We’ll make some assumptions here that you have a few pantry essentials (cooking oils, salt & pepper, sugar & flour), but by and large this shopping list will be able to make all the meals above and leave you with a ton of leftovers to make some meals for the following week. This will easily feed 2-3 people, maybe even four. These all look wonderful. I love meals like this. You can eat until you’re full without feeling the heaviness of a really rich and high calorie meal. That asparagus soup looks great! 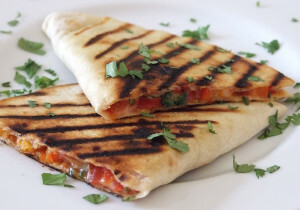 I love these recipes, they are light, easy to make, and look delicious! What a great plan I am not vegetarian but I do appreciate a good vegetarian dish from time to time. Veggies when cooked correctly are delightful. Now that looks like an awesome food plan. And no does not look like any diet. I could eat this regularly and never complain! Such awesome veggies..! What a great collection of recipes! You certainly don’t need to be a vegetarian to enjoy these dishes! 3 days in. 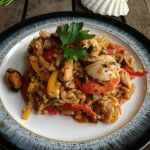 I love these recipes….so delish! I am still working through the recipes, but I already have some comments. 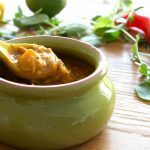 I like the variety, many recipe lists can become too western so I appreciate the use of chilies and spices and flavours from all over the world. Most all the recipes have been delicious and just the right amount for me to have dinner and leftovers for the next day! However, the shopping list was virtually useless for this, some ingredients were missing and it was just easier to go day by day and see what I needed. Also, it frustratingly switches from oz. in the list to g in the recipes?? I prefer metric but really the important thing is consistency– even within one recipe it switched from imperial to metric. All in all I’d say this is more a collection of delicious recipes than a meal plan, but I am happy and using it. I’d advise anyone else using it to check the ingredients in each recipe you plan to make first and to be prepared to do some conversions. 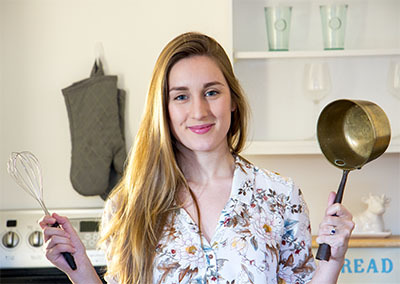 Other than that, I’m really enjoying learning new recipes and skills! I wish to lose weight quickly quickly for a holiday…wanting advice on vegetarian meals to help me please..